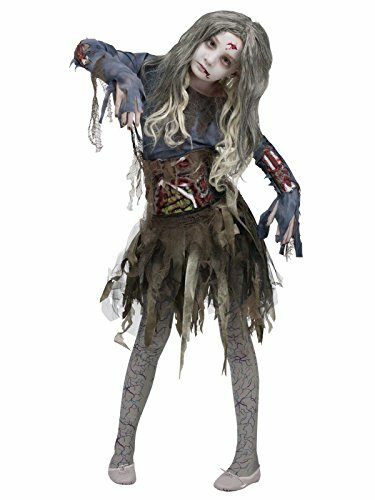 She's just dying to be your date for prom! 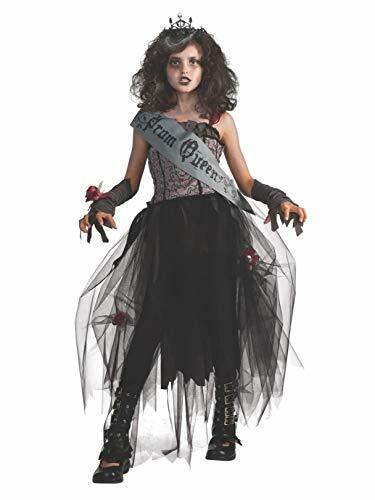 Our Prom Corpse Costume for girls features a gray gown with red rose appliques at the neckline and sleeves, a tattered tulle skirt with uneven hems and a removable red brocade print belt. 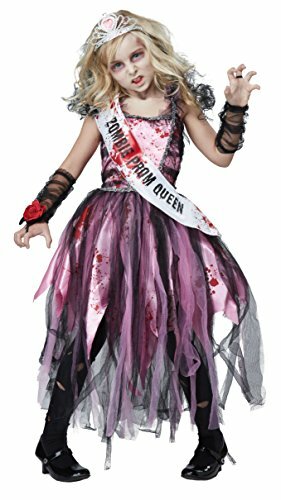 A corsage of red roses and matching gray tulle goes on the wrist, and a tiara and sash crown you the prom queen from hell! 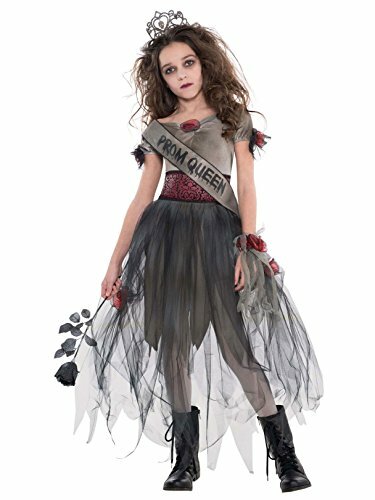 This brilliant Zombie prom Queen costume is the perfect choice for your Halloween party or themed event. 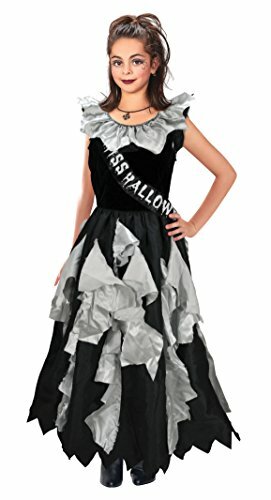 The outfit includes a dress and a prom Queen sash.